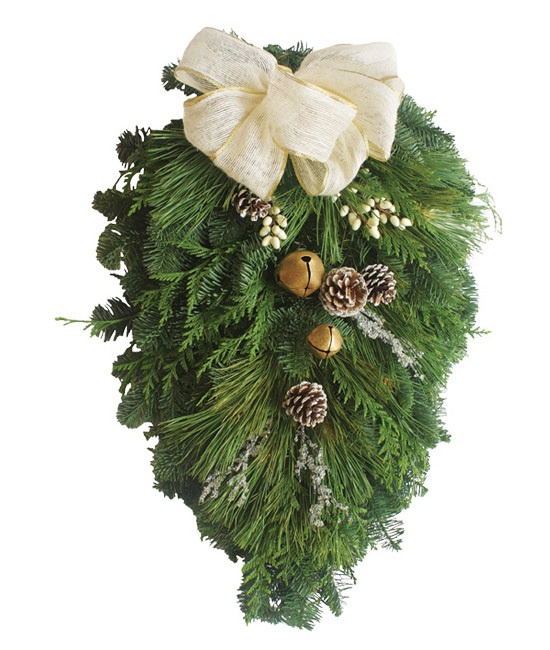 Bring the magic of the Holidays to any entryway or door with our Fresh Evergreen Swag. A great mix of evergreens and complemented with white lodgepole pinecones, faux white chili berries and icicles with the fun of adding 3 gold bells and beautifully finished with a cream jute bowl with a gold edge. An entryway show stopper for sure. To remove, simply snip wires from the back of the box and lift the item gently. Our fresh designs are originally produced with extra elements so slight shedding is normal. To keep your swag fresh for the longest possible time, you may mist it occasionally with water. The designs are best maintained when displayed indoors, away from direct sunlight, strong heat sources and extreme moisture. 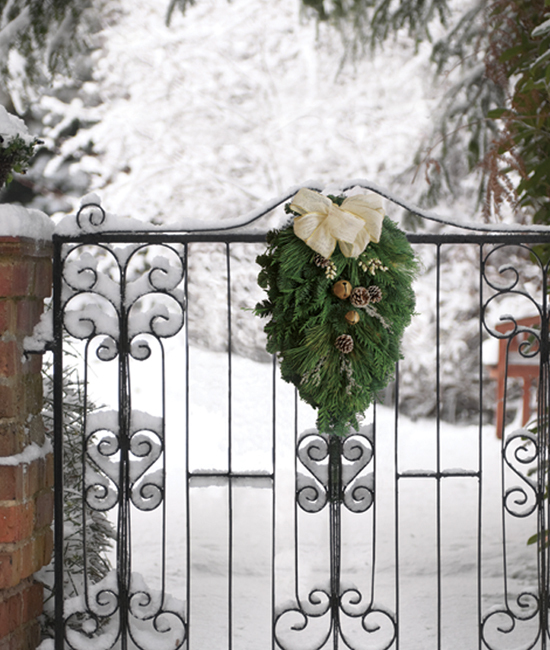 The color will soften as the wreath dries.